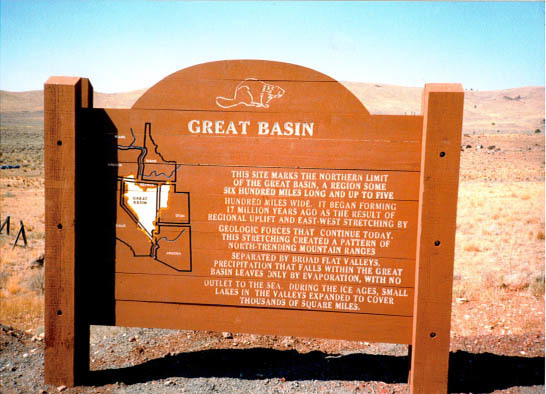 This site marks the northern limit of the Great Basin, a region some six hundred miles long and up to five hundred miles wide. It began forming 17 million years ago as the result of regional uplift and east west stretching by geologic forces that continue today. This stretching created a pattern of north trending mountain ranges separated by broad flat valleys. 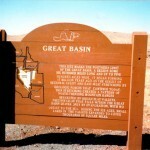 Precipitation that falls within the Great Basin leaves only by evaporation with no outlet to the sea. During the Ice Ages, small lakes in the valley expanded to cover thousands of square miles.